Thank you to everyone who volunteered and participated as a worksite for the 2018 Big Event! Giving back to those who need help is what the Big Event is all about. The Big Event is the single largest community service project that takes place at Monmouth University every year. Every fall, approximately 400 to 500 members of the Monmouth University community sign up to be a volunteer at one of the 30 to 35 Big Event work sites in the towns that surround campus. The Big Event has become somewhat of a national phenomenon at a number of colleges and universities throughout the United States. It originated at Texas A&M University in 1982 when 6 students felt the need to give something back to the communities of College Station and Bryan Texas. During the spring 2000 semester, members of Monmouth University’s Student Government Association attended the Conference of Student Government Associations (COSGA) at Texas A&M where our Senators learned all about the Big Event. They decided it was a program that should be brought back to the Monmouth community. 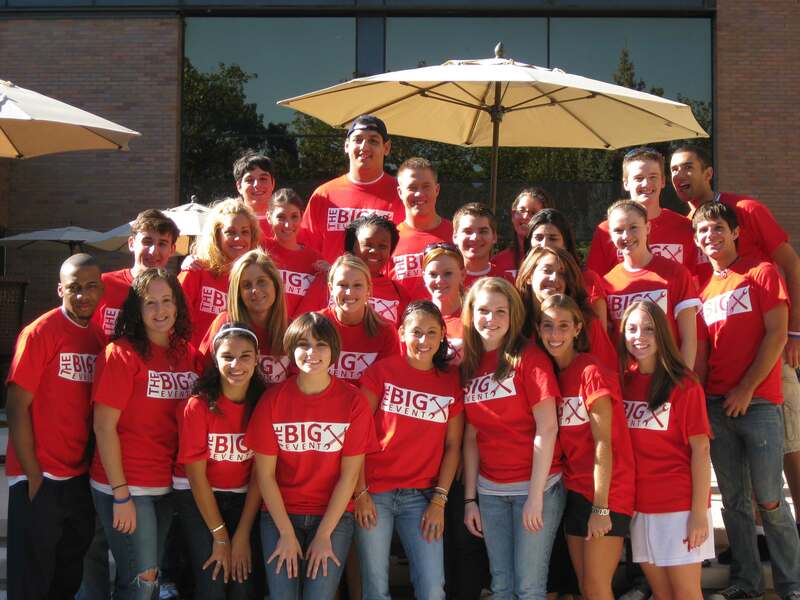 Ten years later, the Monmouth University Big Event has become a signature program for SGA. The Big Event is held in October and anyone affiliated with Monmouth University is encouraged to become a Big Event volunteer. If you are a member of a club, organization, fraternity/sorority, athletic team, department, office, or all by yourself, we hope you will want to join the Big Event volunteer team. In addition to needing volunteers every year, the Big Event is only successful when SGA can identify work sites in the local communities. Over the years, Big Event volunteers have helped the SPCA in Eatontown, cleaned beaches in Long Branch, spent a day with senior citizens in Ocean Grove, or painted murals at grade schools in the Township of Ocean. As such, the Big Event is always on the lookout for new work sites. Who can submit a Big Event work site application? What communities can submit Big Event work site applications? Each work site will have a Monmouth student who serves as a Site Captain. They contact their work sites before the Big Event to review the information and assignments submitted on the application. Volunteers will come to the Ocean First Bank Center at Monmouth University on the day of the Big Event beginning at 8:00 a.m. to check-in and will then leave campus at approximately 9:30 a.m. to go to their assigned work sites. The Big Event will end at approximately 3:00 p.m. or whenever volunteers have completed the assignments at their respective work site. Work sites are asked to provide volunteers with the necessary tools and supplies needed to complete their tasks. To learn more about the Monmouth University Big Event, call SGA at 732-571-3484 or send an an e-mail to sga@monmouth.edu.